After six weeks of pain-free walking, I thought my plantar fasciitis was on the way back this morning. From the moment I got up, I could feel a slight pricking sensation in the centre of my right heel every time I put my foot down. I tried to walk it off around the kitchen, but the discomfort continued, and within five minutes, I was convinced I was hopping down the path to another steroid injection. At which point I took off my slipper and found a self-adhesive googly eye stuck to my sock. I know the podiatrist told me to keep an eye on it, but I'm not sure that's what he meant. 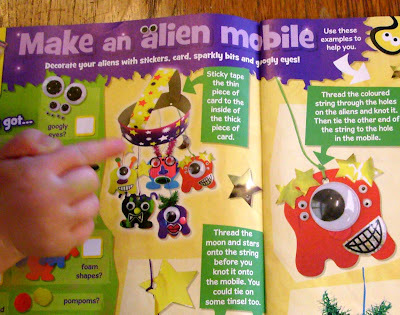 I saw the kit stuck to the front of a magazine, assumed it must be what E.T. used to phone home, and bought it in the hope of making intergalactic contact with intelligent life forms. It turned out to be a few bits of cardboard, foam and tinsel in a polythene bag. We made it on Saturday night, and it's been falling apart ever since. Partly because Amelie insists on taking it to bed with her. Other people get tied into a mobile contract, but Amelie wakes up every morning with no strings attached to hers. So it wasn't a complete surprise to find an alien eyeing up my foot this morning. The good news, however, is that Amelie's been kept out of mischief today. Lisa took her to 'Monkey Bizness' this morning, a fine establishment in Lewes where they teach small children how to spell badly. At least, I assume they went. I'm actually writing this during my lunch break in a small ophthalmology room in West Sussex, where I'm dealing with the blind of Horsham. That's the rollerblind of Horsham Hospital. It's broken, so I'm typing this in semi-darkness. Anyhoo, Amelie's never been there before, but a friend of Lisa's invited them along a couple of days ago. 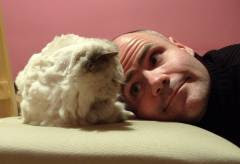 Apparently the exact words of her invitation were "Does Amelie like Monkey Bizness?". To which Lisa, who'd never heard of the place, replied "What's Monkey Bizness?". Personally my answer would have been "Yes", regardless of whether I'd heard of it. A bit tantalizing, talking about it when you haven't even had the report back from your daughter on what it's all about and whether she got up to monkey tricks! 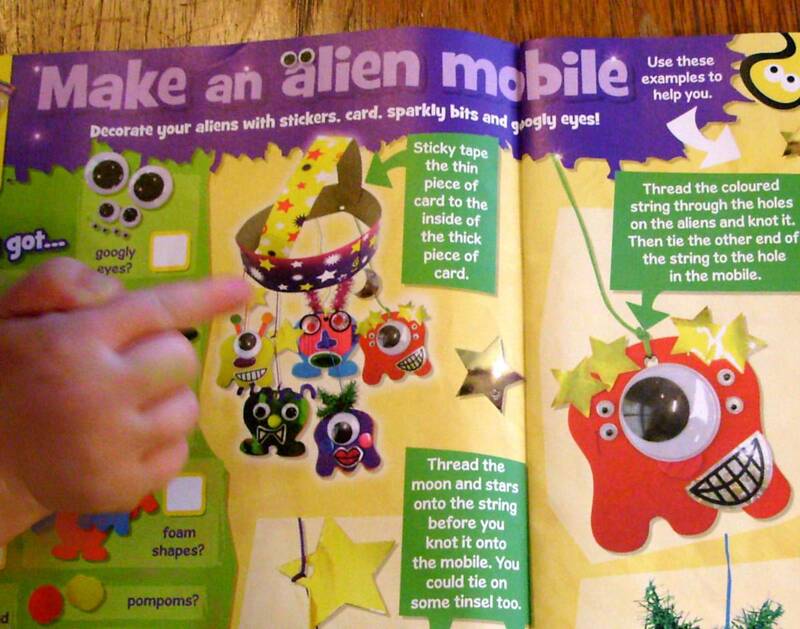 You are to be commended for making an alien mobile. All in the cause of good inter-galactic relations. Did it have your complaint of Plantar Fasciitis? But I suppose you'll modestly say it was all in a day's work for a NHS Healthcare professional earthling!